My Blogs: Run for charity at the 13th ROASTERS Chicken Run! Run for charity at the 13th ROASTERS Chicken Run! 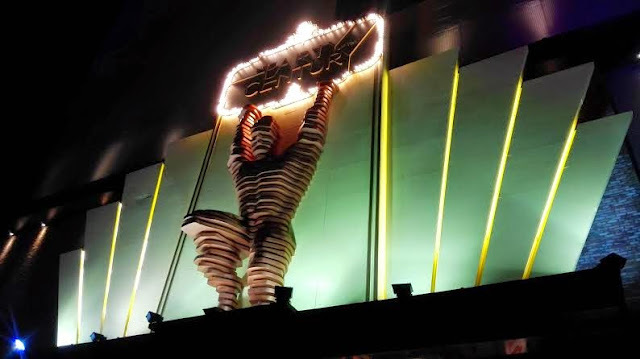 Have the drive to shed the calories and simultaneously contribute back to the community? 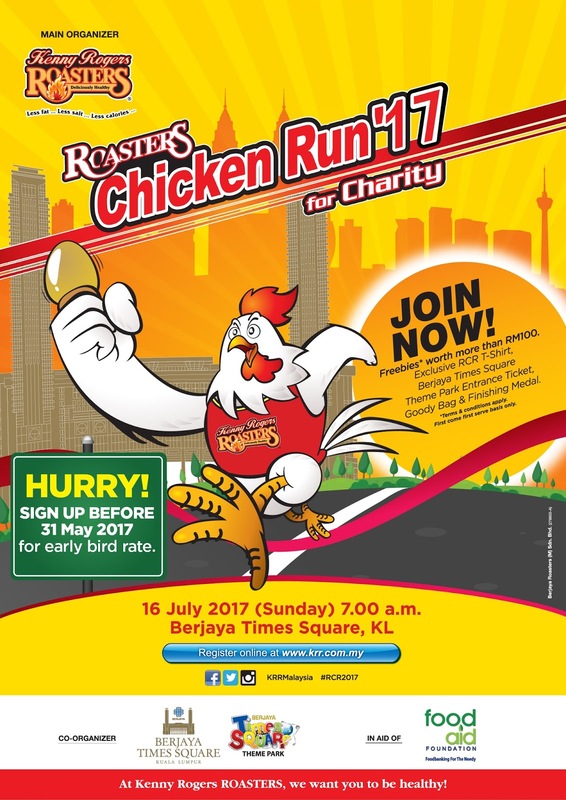 Here’s your chance to do both by participating in the 13th annual ROASTERS Chicken Run (RCR) by Kenny Rogers ROASTERS (KRR) at Berjaya Times Square on the 16th of July 2017, Sunday from 7:00am onwards! A charity run with a twist, runners are required to balance an egg on a cone and make it to the finishing line without breaking the egg to win attractive prizes! 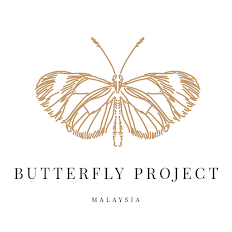 The participation fee is RM 70 for adults and RM 55 for children aged 7 to 12 years old. Online submissions are still open, so hurry before registration closes on 3rd July 2017! Participants can collect their race pack on the 12th July 2017 (12pm-7pm) and 13th July 2017 (12pm-5pm) at Kenny Rogers ROASTERS, Berjaya Times Square. 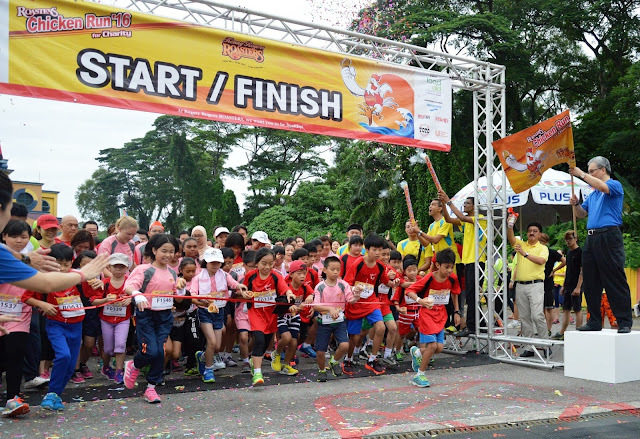 To read about last year's Kenny Rogers ROASTERS Chicken Run 2016 which I attended, click HERE. For more information, visit the official website at www.krr.com.my or call 03-2119 9888. I remember last year's Roasters Chicken Run was very fun. Yay, I really like themed runs although I haven't got the chance to participate in one yet. I can't make it to this one either, unfortunately. It's ok. There will be more in the future & hopefully you will be able to participate. Wow this is fun! Will they will be able to eat unlimited the KFC chicken? I would love to participate. Should be fun. Not sure about the food. Great! Hope it'll be fun like last year. Yes, run for charity. Great CRS event. Great! Hope you can join this Roasters Chicken Run. one more weeks the KRR run will happen. I miss the registration part. How I wish I can join for the run. 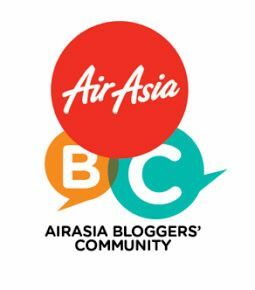 There is a Last Minute Registration Counter on 12 July and 13 July (12pm-7pm) at KRR Restaurant, Level 3, Berjaya Time Square if you still want to join the run.